EARTH'S DARKEST HOUR IS ABOUT TO GET DARKER.The outbreak killed many and forced the rest to evacuate towns and cities. In the Midwestern United States, a refugee camp shelters hundreds of survivors from the harsh reality of the new world. But how safe are they? Some suspect that their military overseers aren't being completely honest with them. Others know more than they are willing to admit.The Graham family are about to have any semblance of security ripped away. 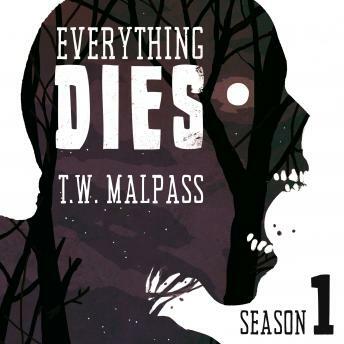 Together with their new found allies, they will have to learn how to survive in the realm of the dead, where there's nowhere to hide and human flesh has become the ultimate prize.Season one of this terrifying and bleak zombie apocalypse series contains eight episodes.This publication also includes Finite: a poem by Ian Futter.